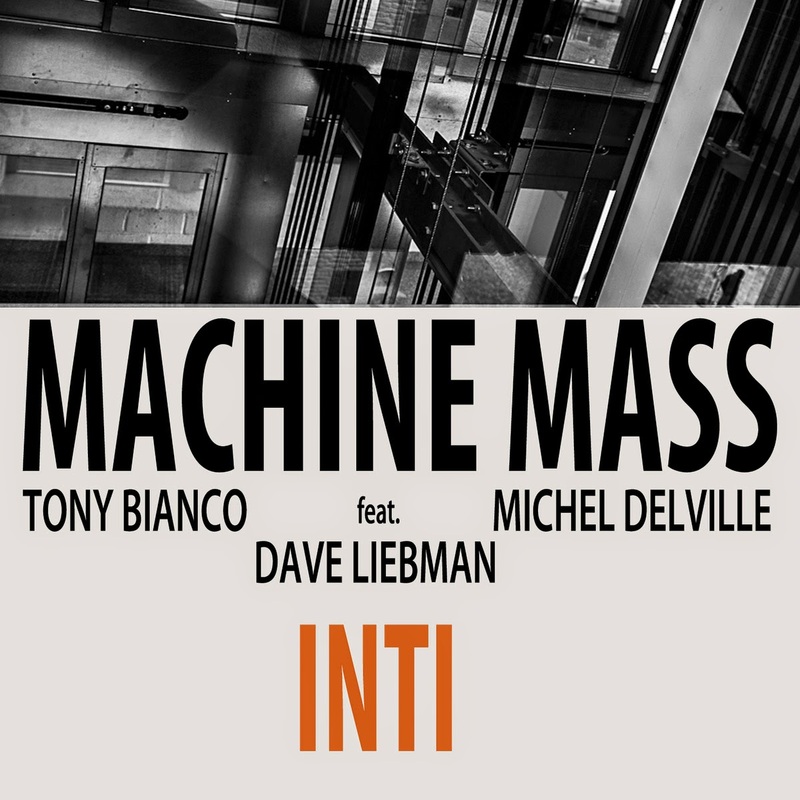 Machine Mass is a joint project of well respected drummer Tony Bianco and innovative guitarist Michel Delville. Both of them were part of various music projects, that we will be talking in the following interview. 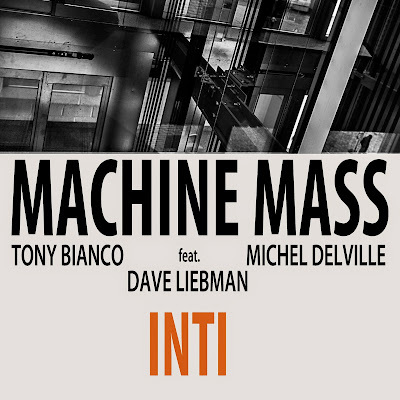 Machine Mass’ latest effort was made with now legendary saxophonist and flautist Dave Liebman. He collaborated with Miles Davis, Elvis Jones, John McLaughlin and many others. 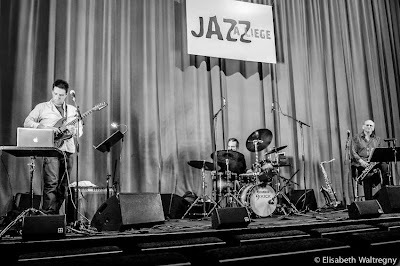 What we have here is a group, that is very innovative and could be called one of the leading progressive groups both inside and outside of the ‘jazz corner’. How did the idea to form Machine Mass emerged? T: Machine Mass started from Michel being kind to me. My wife Mary was dying of breast cancer and Michel thought I needed time away as I was caring for her 24/7… Michel arranged a session in Liege with Jordi and he asked me to bring some ideas and loops for the session. Michel and I got along right away from the douBt sessions… so the collaboration was quite natural. The result of that session was As Real as Thinking. M: It all seemed natural to me too. Tony and I have this capacity to communicate ideas while playing music. Of course, this requires a fair amount of preparation, planning and vigilance. As far as I am concerned, As Real as Thinking was also my first official foray into live electronics, an aspect of our work which became even more prominent in our second album, Inti. So far you released two albums. 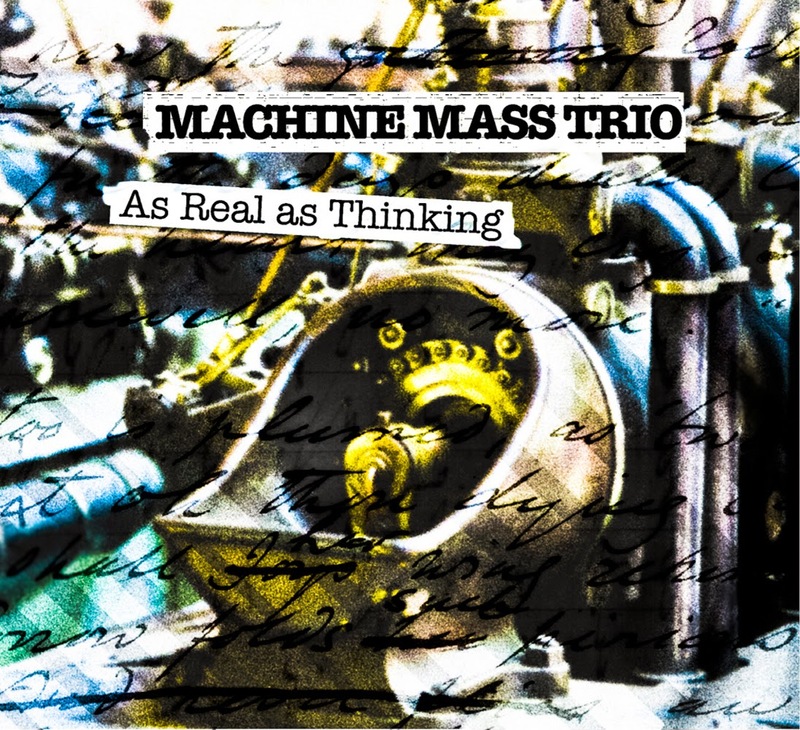 ‘As Real as Thinking’ came out in 2011 on Moonjune Records. You invited Jordi Grognard to play saxophone, bass clarinet and flute. How did the process of making ‘As Real as Thinking’ came to its realization? T: As I said in the previous answer, Michel arranged a session based on ideas we talked about when we were doing douBt… it’s basically a duo with ideas to incorporate anything we wanted. 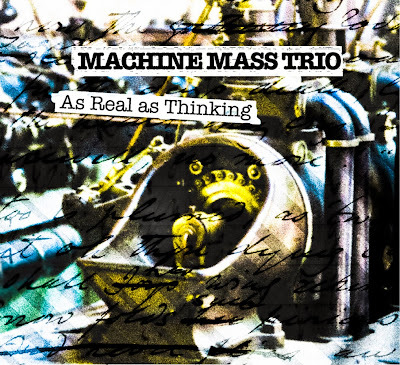 ‘As Real as Thinking’ was done with no overdubs and entirely live in the studio. The result is truly stunning. The music is absolutely flawless. How did you managed to produce such a live, organic sound? T: We just did it… Michel and I work very quickly in the studio… things are done very easily and with a flow. It’s like we’re following some inner plan… not a lot said, but a lot done. We just do it. M: Like Tony says, not a lot said but a lot done. This has been our method from the very start. 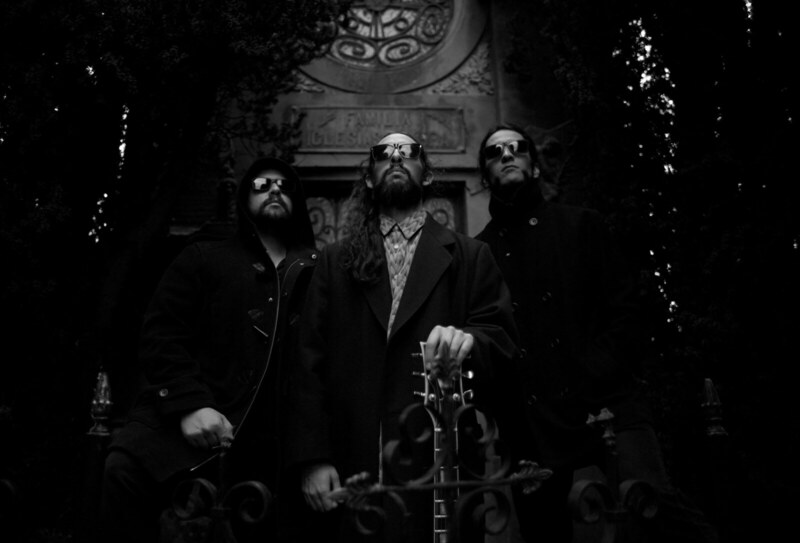 People say there is something hypnotic and trans-like in our music, something shamanic. It’s about getting really immersed in the drone, closing your eyes, shutting out the distractions, maintaining balance, going into your inner self while listening to the other musicians playing. What can you say about the arrangement process? T: We usually come with a plan before we get to the studio, then we just do it, unless it doesn’t sound like we imagined. Then we discuss it and make the changes that we both agree on. It’s easy with just the two of us making the decisions. M: Inti was recorded with Dave Liebman in a single afternoon – we showed up with the charts and did a couple of takes for each piece and then picked the best ones (most of them, if not all, were first takes). Jon Wilkinson did a lot to mix the album into a coherent narrative – he made the right decisions about every tune. I believe you two know each other from a mutual band you’re still involved with. ‘douBt’ is a project I’m referring to. Would you like to tell us about ‘douBt’ backgrounds, your involvement with the band and what is the concept behind it? T: DouBt is the band that Michel and I have with Alex Maguire, a brilliant pianist. I knew Alex before I met Michel. Alex called me one day and asked me to be in douBt. 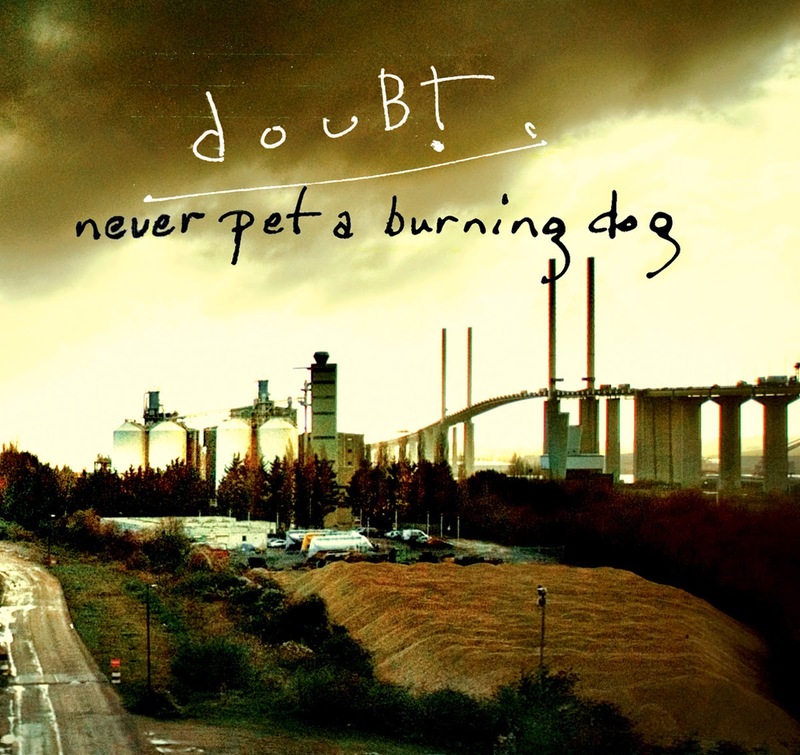 We recorded our first record Never Pet a Burning Dog in Italy. I still have great memories from that first session. Alex also knew my wife Mary… to tell you the truth I think that all of us both Michel and Alex were effected by my wife’s death. It poised us all in different direction both consciously and unconsciously… a reality of life. The concept of douBt is more in line with the Canterbury scene here in England, at least that’s my interpretation. Both of you have respectable music carriers from previous involvements. Michel (Delville), you have a long time running project ‘The Wrong Object’ and other side project like ‘Comicoperando’ and ‘The Gödel Codex’. Tony (Bianco), well I don’t know where to start, since you’ve been on the scene for quite a long time and managed to play with prominent jazz musicians including Elton Dean, Alex Von Schlippenbach, Dave Liebman, Paul Dunmall, and Evan Parker. Would you like to discuss some of your involvements outside of ‘Machine Mass’? T: Yes. I came to Germany in ’91, played with Alex Von Schlippenbach which led me to have a certain reputation in the improvised scene in Europe. However I was more of a straight a head player (atleast I thought that), but I found myself playing more in the impro scene. When I came to England I immediately seem to have hooked up with Elton Dean, which led me to the other players here in England… Dunmall and Evan. I also recorded with Elton Dean a concept I called free beat which is basically rolling through time signatures in a certain way… not the M-Base thing, even though it’s been compared to that in a frivolous way. I recorded Monkey Dance with Liebman elaborating what was done with Elton in Freebeat. Which led to the concepts and ideas in Machine Mass Inti. M: The Wrong Object has been active for almost 15 years, although it only became visible internationally thanks to the efforts of Leonardo “MoonJune” Pavkovic when we released our first live album with Elton Dean in 2005. 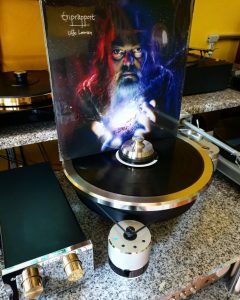 Other recent projects include the Robert Wyatt tribute Comicoperando (with Chris Cutler, Dagmar Krause, John Edwards, Karen Mantler and Annie Whitehead) and a new electro-jazz-pop band called The Gödel Godex which works with expanded song formats with vocals. As for the M-Base thing, it’s an acronym for “macro-basic array of structured extemporization” – it’s hard to take that hyperbolic rhetoric seriously, although it may help you get an academic job in a music theory unit! It seems to me that bands like Aka Moon or musicians such as Pierre Van Dormael were doing something similar in the late 1980s without the pompousness. Every project is driven by a different motive or concept. How do above mentioned bands diverse from Machine Mass and what aspect makes them different? T: The projects differ because of the different musicians that I am playing with. Some music is pre-written and some is just improvised, and some do both. The main difference comes from the musicians themselves. A great improviser can cause a band to go into a totally different direction just from his presence. Look at Miles and how his presence caused the guys to play totally different. Music is very mysterious. That’s why I love it. M: It’s all about trying to maintain a balance between composition and improvisation – Machine Mass is more improv-oriented than, say, The Wrong Object, but to me the real challenge is to make the written parts sound improvised and vice-versa! About a year ago ‘Inti’ was released. This time you invited Dave Liebman. The whole album itself is in my opinion way different, than the debut. What would you say are some major differences? How did the involvement of Liebman changed the course of playing and how are you satisfied with the result? T: I believe the difference comes from the changes that exist in life…we/I changed from the debut release. Liebman of course is Liebman … he brought his presence and along wih ours we had an adventure. This record ,”Inti” was done even quicker than “As Real as Thinking” … we had no rehearsals … we just went in the studio and “stormed the Bastille”. We had some ideas and just worked them out. As I said music is mysterious and I, at least, knew it was going to happen. M: Dave’s presence brought a lot of mystery and intensity to the record. You need string personalities to make things happen on the spur of the moment. ‘Inti’ points out new progressive direction of jazz to come. What’s your opinion? T: Yeah, that was the concept… a new path… making machines feel… the accuracy of machines causing new heights in consciousness. 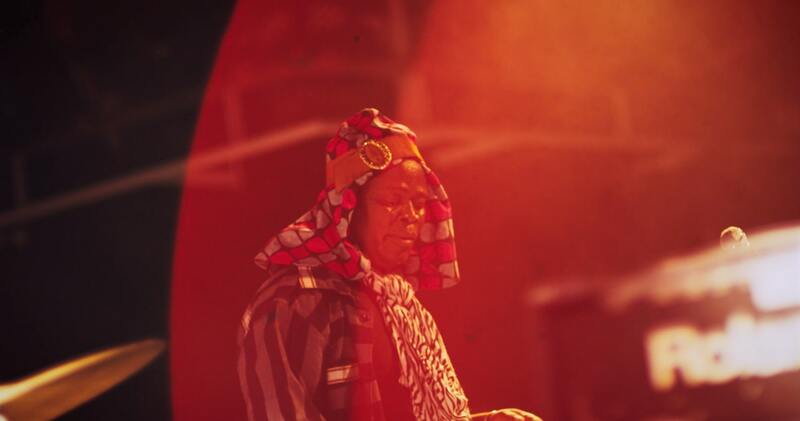 M: I could not agree more – the fact that we had to handle live electronics in the studio or on stage without the help of a sound engineer or DJ made us feel like cyborgs.The warmth and organicity of the music is really refreshing. Would you mind covering a basic question about your kickoff involvement with music. I’m referring to your influences. Did they change in comparison with today? T: For me John Coltrane really influenced me… along with my Father. He loved jazz. He was a drummer and so I was exposed to all his dreams. The main difference is that I became myself. To be influenced by great musicians is natural to become yourself is the point. Having your own voice. When that happens you’re in touch with the silence, which is truth. M: Coltrane, Hendrix, Messiaen, you name it – music that changes one’s life. I also listen to a lot of recent stuff: Damon Albarn’s new solo album is great, as are Matthew Herbert, Squarepusher, Arto Lindsay, Blonde Redhead and many other liminal musicians I love. What currently occupies your life? Are you working on something, that will get out in the near future? T: Well I can’t speak for Michel but I’m basically working on survival… being that I go through such emotional and financial hardships and troubles that I feel like one of those old blues guys, ha-ha. No really… I’m always working on music.. I’m always talking to Michel about ideas I have… hopefully I can stay alive and do them. M: I divide my life between family, writing, teaching, playing music… and sleep very little. 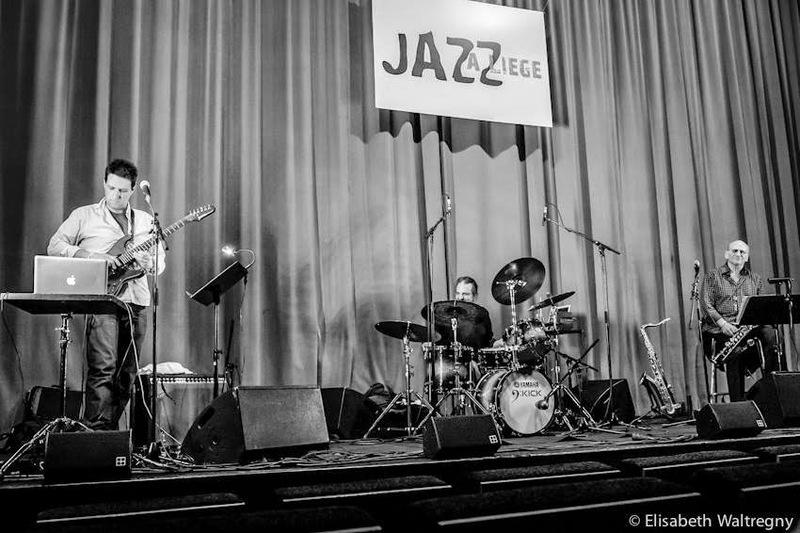 How do you see the current jazz scene? Some suggest jazz is getting less and less popular, but I don’t really agree with that statement. How do you see it, since you’re even more involved with the scene as musician? T: The Jazz scene is being killed by the very jazz musicians who want to work because they won’t let jazz be itself. The established jazz artist want to control whats heard and whats not heard because they want to control the whole nature of the music. They think they own it, they were/are given this authority by the people who control everything with money… who are not even interested in jazz but in control of their agenda… Money is God and God is money… truth suffers… there’s the elephant in the room… the establishment lies to us all the time, but we’re not supposed to notice… when virtue is lost in art we all suffer… art expresses what words can’t… we live in politically unstable times and the establishment don’t want anybody to rock the boat… if someone hears the truth they might see the truth and maybe see the elephant in the room and try to do something about it… elevating consciousness has always been the cross of the real artist. Thank you very much for your time. Last word is yours.